The reasons for this are two-fold. Alcohol is a mind-altering, mood-changing drug, a central nervous system depressant and intoxicant. Alcohol can produce harmful effects such as impairment of judgment, reason, insight, memory, conscience, speech, hearing, vision, and muscular co-ordination even in small amounts. The ever-increasing problems which result from its consumption. Those related to alcohol have been identified as the fourth most serious health problem in Australia. Many people who are not alcohol-dependent nevertheless use alcohol inappropriately – to be accepted, to deal with boredom, frustration, loneliness, anxiety, or because they cannot have a good time or be comfortable without alcohol. Alcohol is neither a panacea nor a problem-solver, nor should it be seen to be a social lubricant or hallmark of hospitality. Alcohol is being introduced into homes and included in social functions where before it was not seen as necessary. Lowering the alcohol content in beers and wines is an important strategy in reducing alcohol related problems, but low alcohol is still alcohol. The only difference is that the effects may be delayed, or not as severe. Christians should set an example of personal responsibility in their daily lives. The Salvationist’s caring includes helping people for whom alcohol has been a problem. It would be inconsistent for any Salvationist to drink while at the same time seeking to help others to give it up. For these reasons, it is not acceptable for Salvationists to drink alcohol, even on a “social” basis, nor to provide it for their guests. 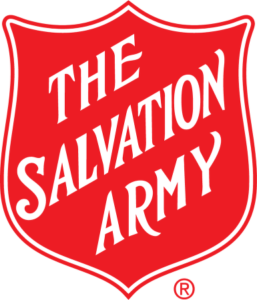 It is not acceptable for alcohol to be consumed on Salvation Army premises or at Salvation Army related functions. See also: Bible says be sober again and again.